Bibbenluke Lodge – the home that Lucy Culliton shares with partner Jamie and an extended family of winged and four-legged friends - is a large rambling homestead on 60 acres of land near Bombala. Lucy has taken in all manner of creatures that needed care and has many hand-reared animals that follow her around as though she’s the Pied Piper. Entering Bibbenluke Lodge is like stepping into Lucy Land; all the scenes from her paintings over the years are suddenly here in real life, from her garden and her house, to her pigeons, chooks and pots of cacti. Paintings – both Lucy’s and other people’s - line the walls of every room and they’re floor to ceiling in the corridors. It’s as though painting is a sixth sense for Lucy; it’s how she recognises the world around her, the important elements in her environment - and although she only very rarely paints herself into her own paintings, there is a sense of her in every one. It takes a while to get all the animals fed and we wonder how on earth she manages to find time for painting – particularly as she is so prolific. 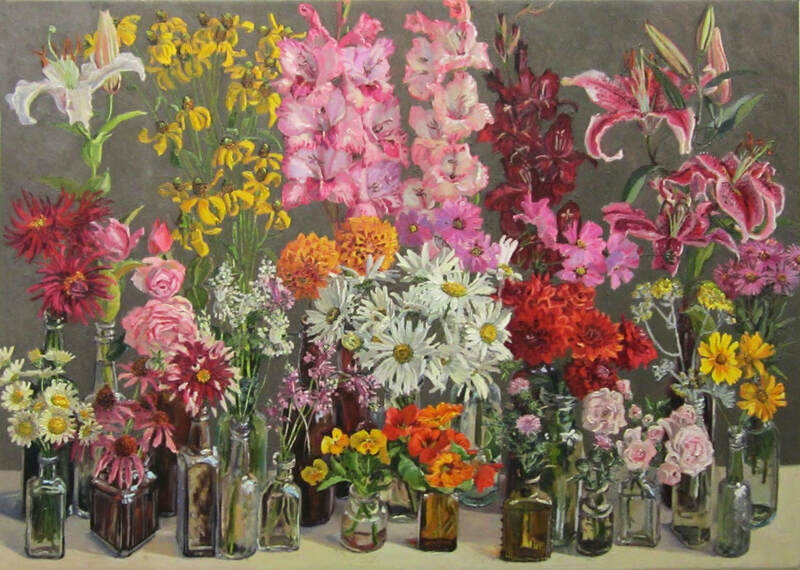 This focus and discipline partly explains why Lucy Culliton has consistently achieved such success in the art world. 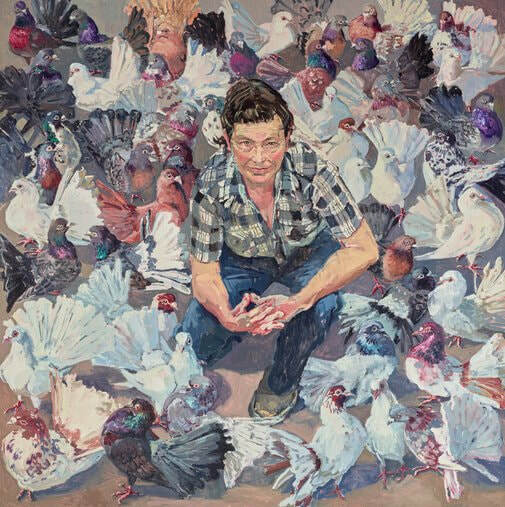 Her paintings have been included in the Archibald, Wynne and Sulman prizes at the Art Gallery of NSW and she has won many prestigious awards over the years, including the Mosman Art Prize and the Portia Geach Prize for Portraiture. At the same time, she has also developed a loyal following through her exhibitions at The Hughes Gallery in Sydney, resulting in many sell-out shows. 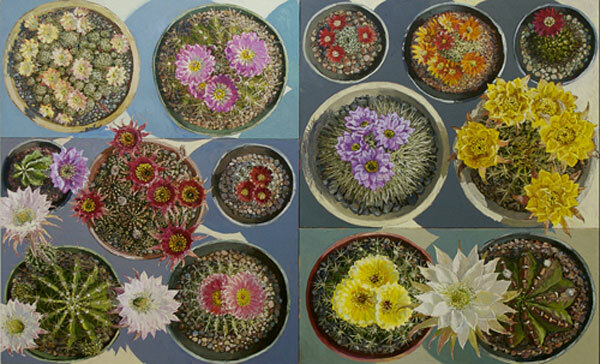 It’s a magic combination of obvious talent, hard work and a sincerity that shines through in her paintings. So how did Culliton end up here in the far south of NSW? Since this time, Lucy has made many paintings based on her property and the surrounding landscape, plus many of the animals that live there. Lucy likes to be present at her exhibitions (which are most often in Sydney) and talk to visitors about her work, so it seems that she will have to continue to venture out of her southern haven and up to the big smoke at least from time to time. But with the call of over 400 of her favourite animal friends, not to mention her partner Jamie, you can be sure she’ll be happily ensconced back in her beloved Bibbenluke before too long. This article was originally published in South Coast Style magazine, written by Alison Mackay & Richard Morecroft. 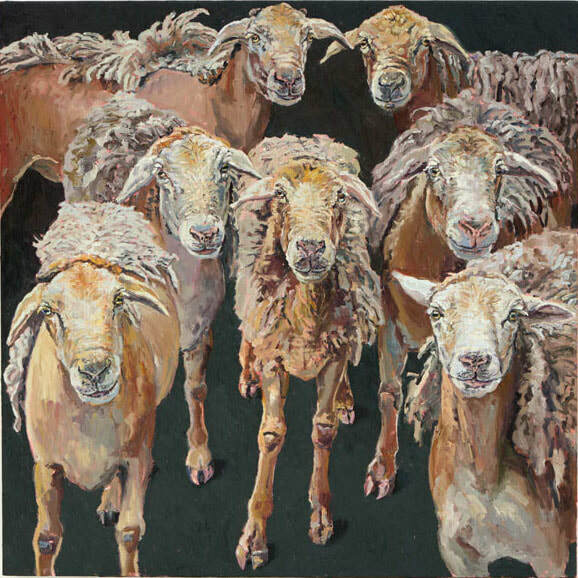 Painting is a theme that has run through almost all of Kim Shannon’s life. 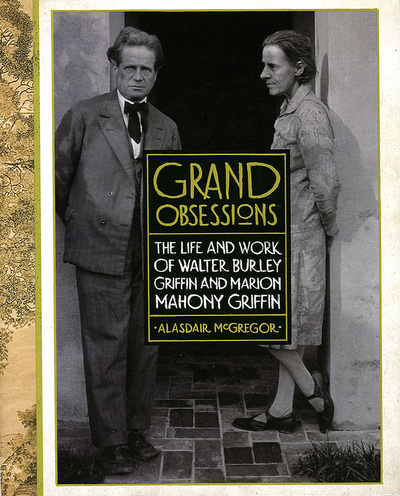 In one way or another, it has been her method of interpreting her surroundings and of recording aspects of her world for decades. 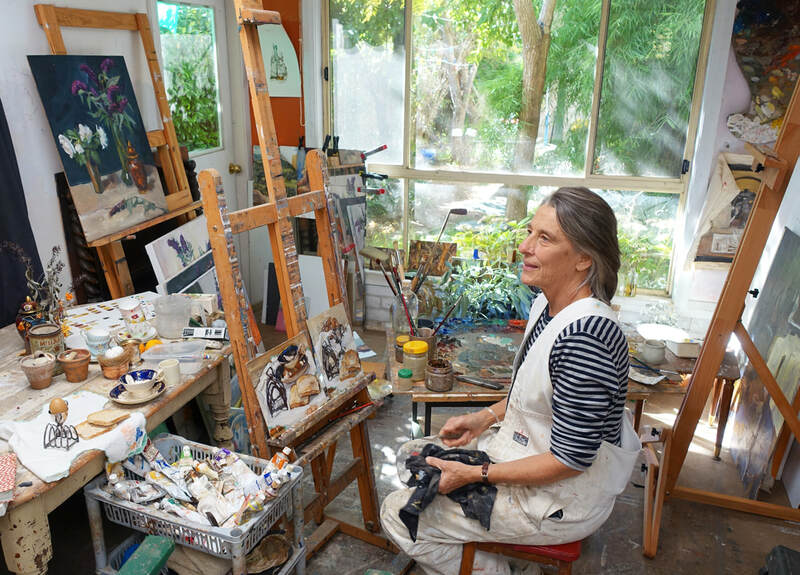 Having travelled the world in pursuit of her art, she is now back in Australia; and from her base in the southern highlands, is able to spend time exploring parts of the beautiful south coast, painting, teaching and exhibiting from Jervis Bay to Bodalla. Kim was able to immerse herself in the vibrant London art scene of the late 70s and see all the blockbuster shows of the time, from exhibitions of Venetian painting to Monet and everything in between. ‘As students we were able to get into everything for free in those days, so I would go and see the shows again and again,’ says Kim. Kim stayed in the UK until the early 90s when her first son was born. They found a place close to Toulouse and the Pyrenees; an old farmhouse with a couple of acres – enough room for chooks and a vegie patch. So the family, now with 2 young boys, stayed in France with the children attending local schools and Kim and Freddie doing odd jobs to make ends meet. But having spent over 15 years away from Australia, in 1995 it was time for the family to return home. The boys were growing up and Kim had a painting career to resume. 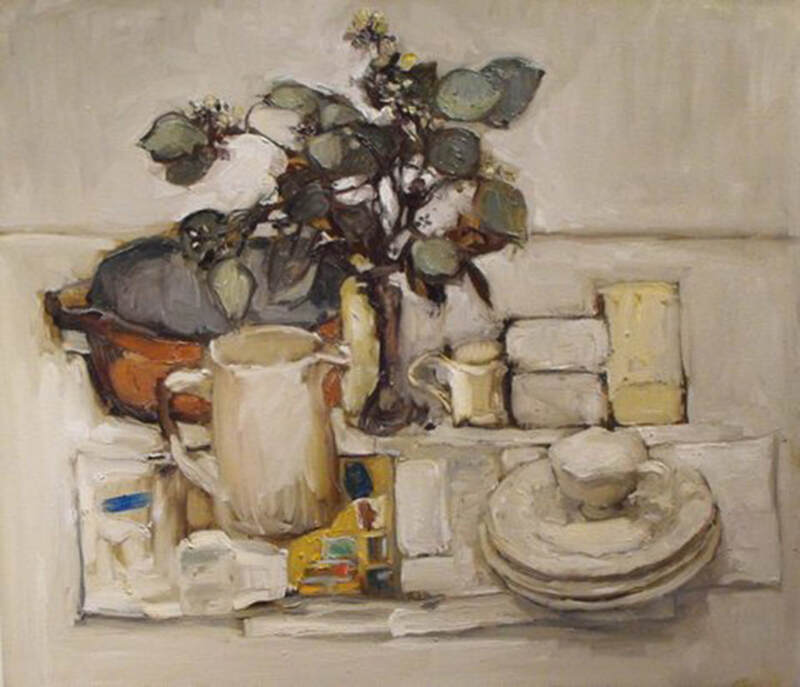 Kim Shannon’s work has always involved different painting genres and her skills are evident in her landscape, portrait and still life work. It’s a testament to her broad-ranging experience and thorough art education that she has such ability in these very different areas. She has shown her work throughout Australia as well as overseas, but most recently at Gallery Bodalla – a boutique gallery on the far south coast. And for Kim, painting has always been about exploring her world and sharing what she discovers. ﻿Alasdair McGregor will be joining us later this year to conduct a single day plein air (landscape) painting workshop. 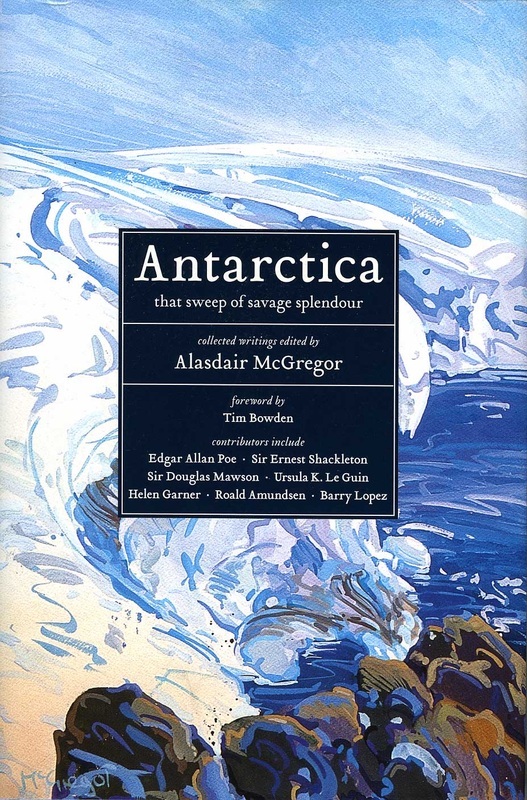 Alasdair's own work spans painting, writing and photography - talents he has managed to fuse to produce a range of books about wild and remote areas of Australia and Antarctica. Alasdair's work has taken him all over the world, but most frequently he continues to visit Antarctica and the wild regions of Australia. From 1996 to 2001 Alasdair was artist and photographer for the AAP Mawson’s Huts Foundation, taking part in three summer expeditions to Commonwealth Bay, Antarctica. 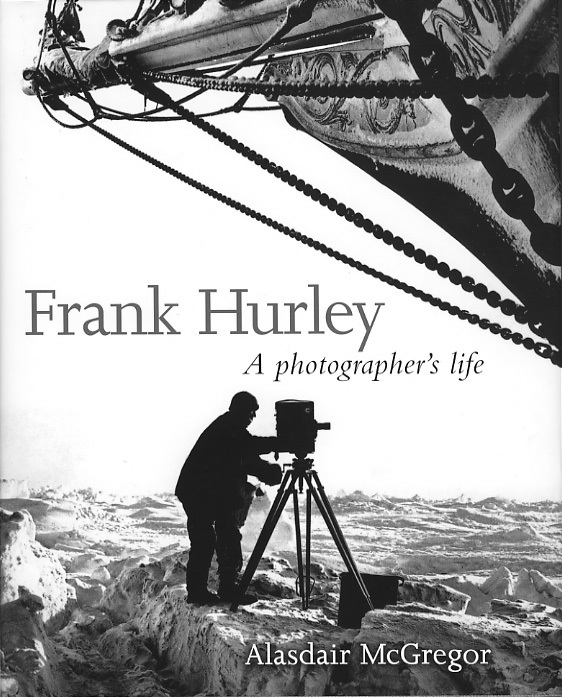 His account of the conservation work undertaken at this internationally renowned historic site was published in 1998 as Mawson’s Huts: An Antarctic Expedition Journal. "I employ a variety of mediums, but favour gouache on paper for my all-important en plein airfield studies, and oil and acrylic on canvas for more considered and detailed studio paintings." Below: 2 gouache studies painted en plein air in the Flinders Ranges and in Sydney's Pittwater region. Alasdair was born in Sydney in 1954 and studied architecture at the University of New South Wales, gaining a Bachelor of Science (Arch.) in 1976 and a Bachelor of Architecture (Hons.) in 1979. After a year working in the Government Architect’s Branch of the New South Wales Department of Public Works, Alasdair decided to pursue a long held dream of becoming a painter. 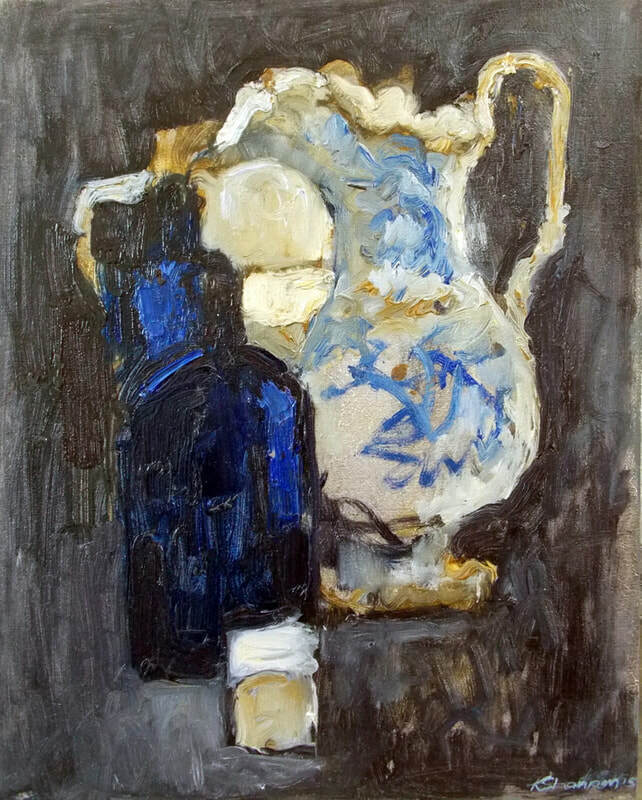 Since the early 1980s he has devoted himself to his artistic self-development, first as a painter, but later also directing his energies to writing and photography. 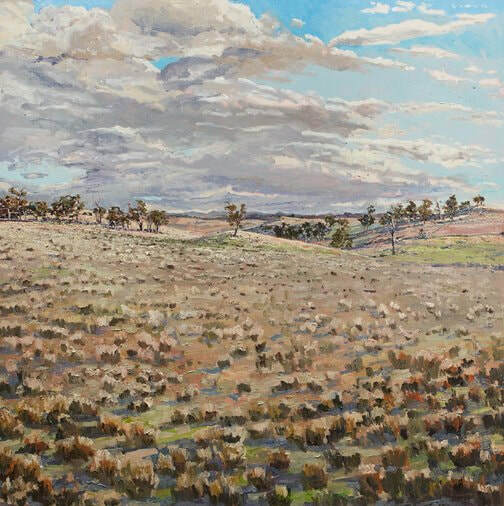 Over the past 25 years he has exhibited widely in Australia and completed public and corporate commissions in Australia and overseas. Alasdair's books include biographies of Antarctic photographer Frank Hurley and architect Walter Burley Griffin as well as 'coffee table' books on The Kimberley and Australia's Wild Islands and also on Antarctica and Mawson's Hut. Alasdair is an extraordinary talent and a true renaissance man. 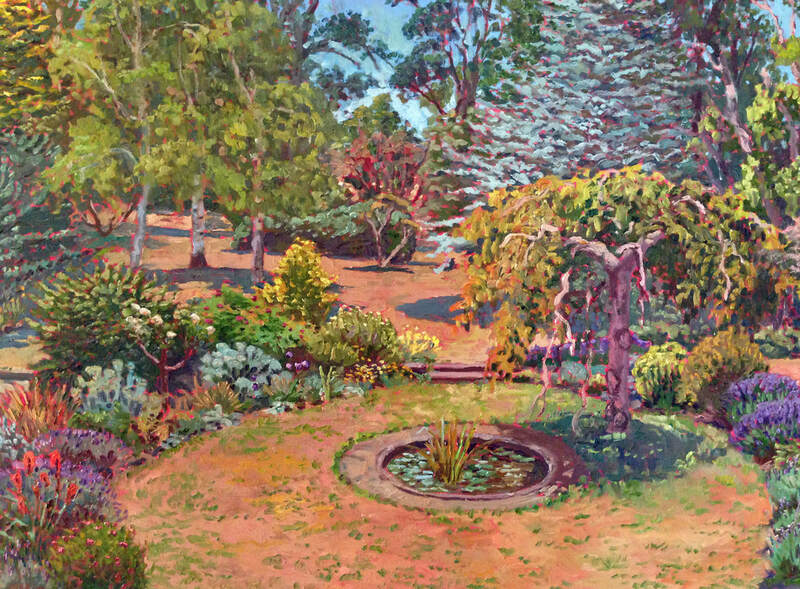 His knowledge and experience in landscape and particularly in plein air painting is extensive. Having the opportunity to share time painting with Alasdair and tap into his wealth of knowledge in this area is an experience not to be missed. Alasdair will be teaching plein air workshops beginning in 2015.